Larrousse was probably after Minardi the most beloved team in the Formula One during the early 1990s. A small team that scored their points every season. Even in their last season in 1994, the team had financial issues but kept on going. They even made a start with designing the Stillborn Larrousse LH95. Was it to secure to future? Or was it to ignore the real situation? Larrousse was a motorsport team founded in 1987 by Didier Calmels, which left the team in 1990 after some “legal” issues, and former Formula One driver Gérard Larrousse. 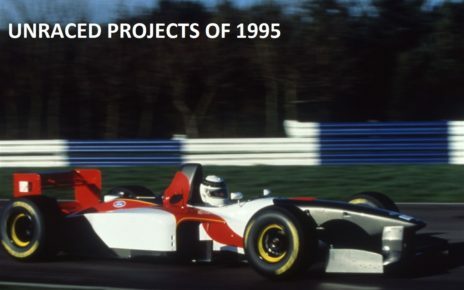 The teams debut was well planned, the Turbo engines were banned and only atmospheric engines where allowed to power the cars. 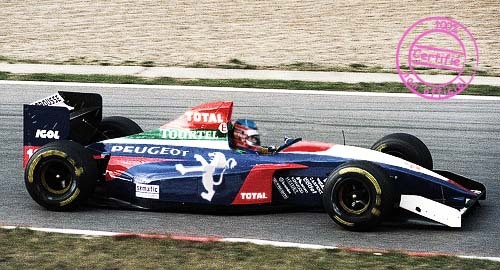 During the year, Larrousse managed itself to manifest itself as a team that scored his points every year. 1990 was probably their best year with Aguri Suzuki’s 3th place during the Japanese Grand Prix on Suzuka. At the end of the 1993 season, the team seemed to struggle a bit but no alarm bells were really ringing. However, 1994 seemed to be a very difficult year. 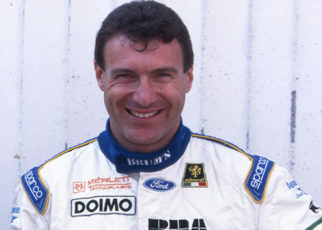 While Érik Comas was constant and scored even two points the team replaced Olivier Beretta after the Hungarian Grand Prix. First with Philippe Alliot during the Belgium Grand Prix. The next race Yannick Dalmas took the wheel during the Italian and Portugese Grand Prix. 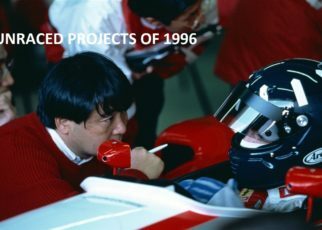 While Japanese Hideki Noda drove the rest of the races. Even Érik Comas his place was not safe. 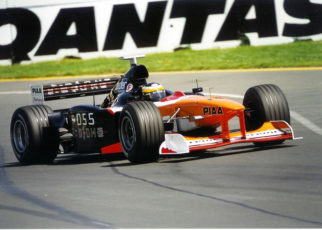 As Jean-Denis Délétraz replaced him for the Australian Grand Prix. It was clear Larrousse was in financial problems. During the season, there was no money to develop the Larrousse LH94, to make it more complicated it became public in 1995 that Larrousse hadn’t paid its bills at all. Even the team was in financial troubles, team owner Gérard Larrousse believed in the future of his team, and he asked Robin Herd to design their brand new Larrousse LH95. It’s said that the Larrousse LH95 was penned with an High nose, during these years this type of nose became the standard, compared to the LH94 the LH95 had a brand new aerodynamic package. The Ford-Cosworth V8 would power the Larrousse LH95, however strong rumours suggested that the team was in negotiations with Peugeot for their engines as well. The car would drive on Goodyear tyres and Eric Bernard and Christophe Bouchut where announced, at least in several racing magazines, to be the drivers for the team. While Elton Julian and Érik Comas where also rumoured to be one of the drivers. 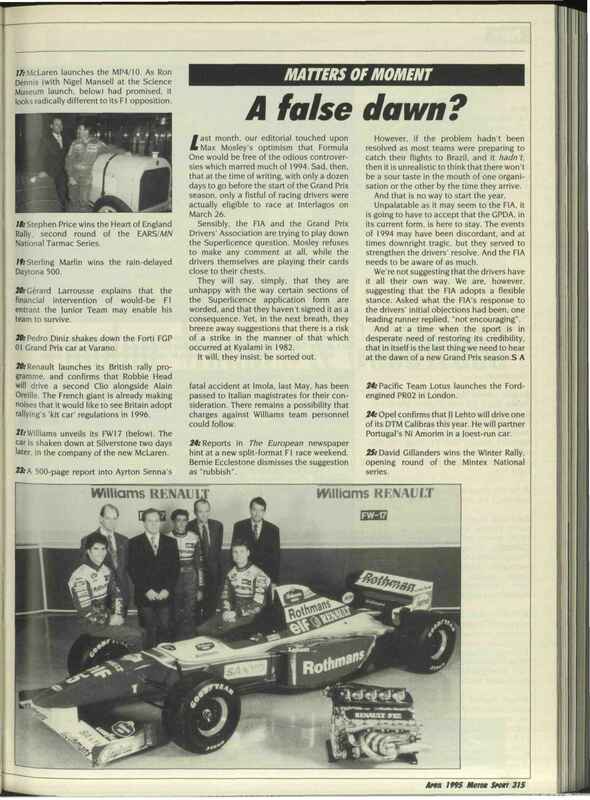 I could not have this confirmed but it was said that Petronas was ready to sponsor the team on a long term, however this could also be because of the Larrousse Junior team, which you will read on a later stage, as most of their sponsors in 1994 where ready to sponsor the team in 1995. The packaged looked fine but what happened. The Larrousse LH95 never made its debut on the track. In the first few weeks of 1995 it became clear that Larrousse had serious troubles. Gérard Larrousse saw only one option in January co-operate with another constructor to keep it’s team in the Formula One. Lola and DAMS were said to be interested as partners. However, none of them actually was interested and there was only one option left. Gérard sold his shares in the team to Laurent Barlesi and Jean Messaoudi. Two weeks before the start of the new season Larrousse announced it would skip the first two races of the season. Why would you put efforts in upgrading the 1994 car, which was outdated, if you can put the effort in the new Larrousse LH95? The FISA actually granted the dismiss of two races. The SNPE Factory in Lille was asked to build the tubes of the Larrousse LH95. News appeared that the factory actually completed one tube and was working on a second tube. There was only one big problem. As the team did not pay it’s suppliers in 1994, rumours say even for years, Ford refused to deliver engines if they were not paid instantly. 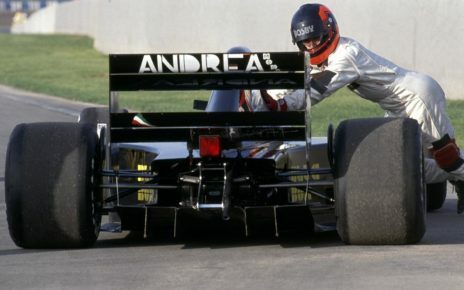 Nor Goodyear seemed interested in supplying the team with tyres. Without engines and tyres, the team did appear on the starting list of the San Marino Grand Prix. With Bernard and Bouchut as their drivers. Sadly, Gérard Larrousse decided to withdraw his team for the rest of the season just a few days before the San Marino Grand Prix. Gérard blamed in the media his suppliers and so on for the withdraw of the team. It was their fault the team had to withdraw he said. Even though he said, he would comeback in 1996 on the grid with Larrousse. The biggest question that raises… how was the car shaped, and how was it’s livery? A couple of years ago Larrousse LH94 was photo shopped to what could be the Larrousse LH95. Recently some renders appeared of the eventual LH95, which looked stunning. Probably we will never know. During my research, I came across sources that stated that Larrousse actually tested one of the LH95’s. 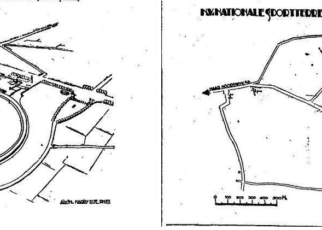 I could not find any information about this test. It could happened but both Bernard and Bouchut did not answer my mail so far. 90% sure the car never saw any day light. You never know!